I am a pretty big fan of chalk paint. Most chalk paint formulas are low VOC or zero VOC paints with almost no odor and BEST of all? No prep needed! That means 99.9% of the time, you don't have to sand, remove the previous finish, prime or any of that stuff I hate doing. This dresser-turned-sideboard project? No prep! I just painted it. LOVE IT. 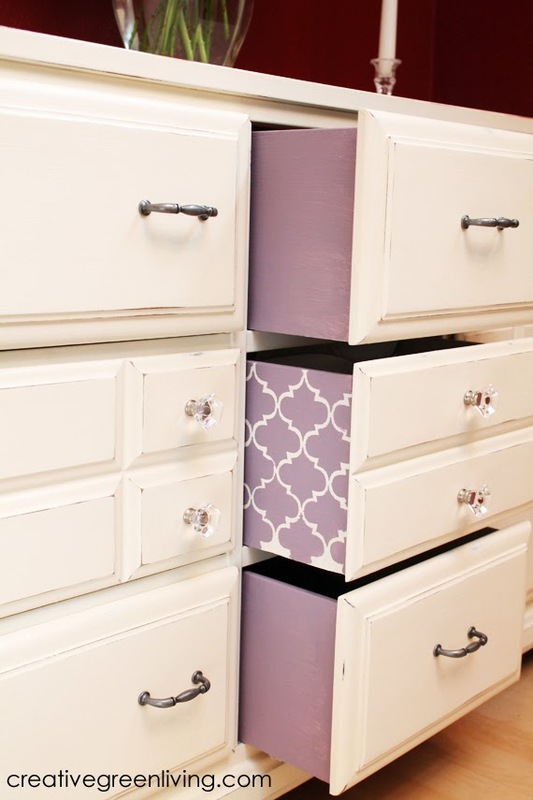 Check out my color pop sideboard project here! 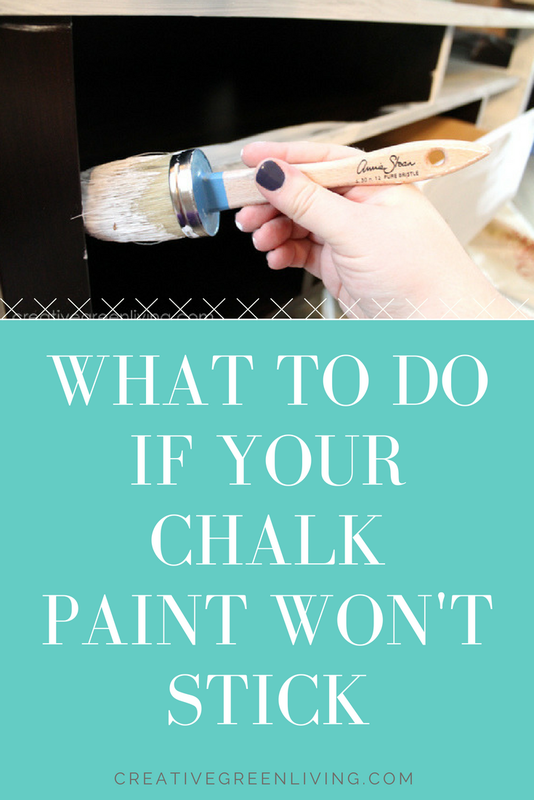 But what do you do if you are painting something with chalk paint and the paint just won't stick? 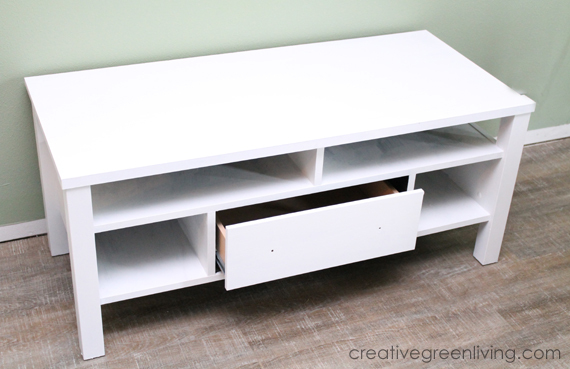 I recently decided our second hand entertainment center would look a bajillion times better if it were white. So I whipped out my trusty chalk paint in pure white and started painting. 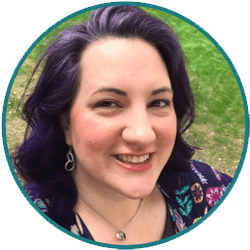 My husband was home at the time and looked at me like I was crazy. Don't you think it would look so much nicer if it were white? Plus it fits our "modern farmhouse" style better. Don't you need to sand it first??? The good news: It's totally fixable! Really! 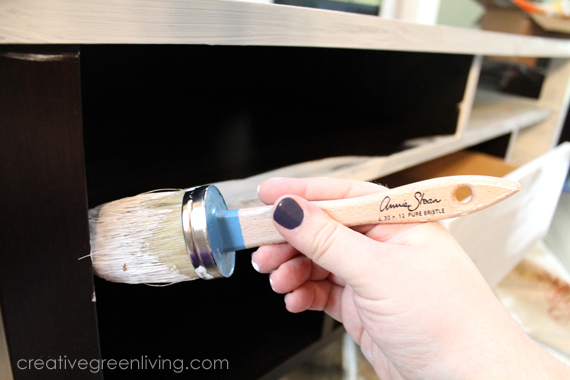 If your chalk paint isn't sticking - and your furniture looks like it is repelling the paint - take these steps! Step 1: Wipe off any wet paint in the areas where it isn't sticking. Don't let it dry and then try to add more. If you can intervene and wipe off as much of the wet paint as possible, that's the best! If it has already dried, head on the step 2 but know you may just have extra sanding to do. Step 2: Give the area a light sanding. Use a 120 grit sanding sponge (you can use 120 grit sandpaper, too - I just find the sponge the easiest to use) to lightly sand the area to scuff up the finish. 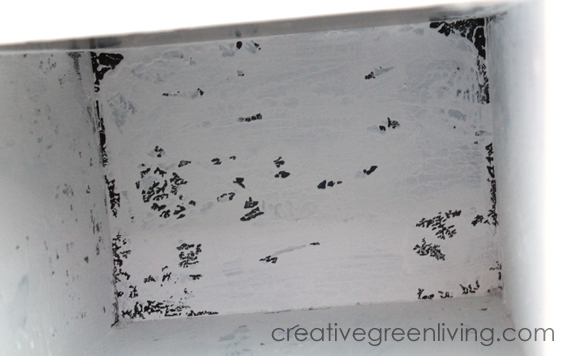 Rotate to a fresh part of the sponge as needed when it gets clogged with paint/finish. Step 3: Wipe off dust. The dust will only make things worse, so be sure to remove any dust before you proceed. Step 4: Add a light coat of paint. Once the area is clean, add a really light coat of paint and let it dry for 48 hours. This will let it start to cure and will make a better base to add extra layers to. Alternately, use a zero VOC primer like Kilz Clean Start (I linked to this so you can see what the label looks like - go buy it at Home Depot where the cost is much more reasonable at about $25/gallon). Step 5: Resume painting with chalk paint. Here I was able to finish chalk painting the piece and get the paint to stick nicely. 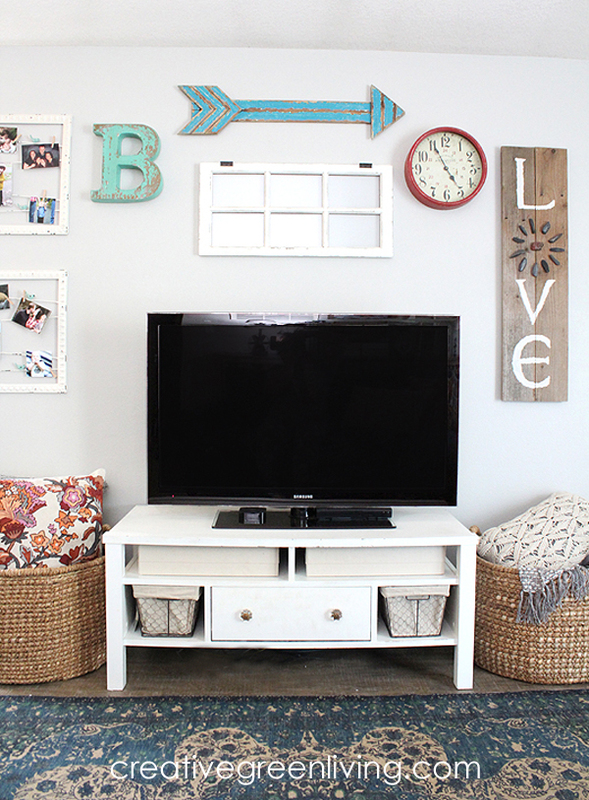 Here it looks now in our farmhouse style living room! So much better chalk painted white, don't you think? 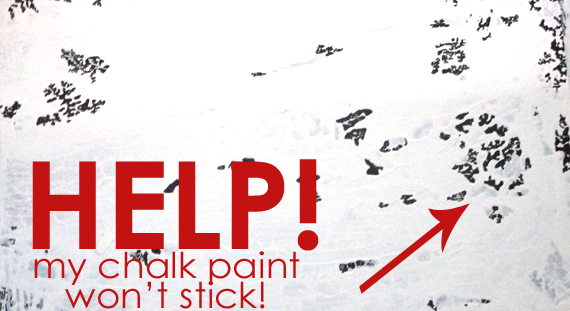 I hope that helps if you landed here due to chalk paint woes! This is truly my favorite furniture paint - you got this! This is my first .1% encounter with having to sand using Annie Sloan. I wish I had seen this post before I started my first chalk paint project. I wanted to paint a bureau that's been in my family for over 100 years. I was very nervous about painting it without sanding, but I so wanted to believe the chalk paint myth. (If something sounds too good to be true . . . ) I cleaned the bureau extremely well. It took me three weeks to clean every drawer, inside and out, every inch of the bureau exhaustively. I took off all the hardware and cleaned all that as well. Every youtube chalk paint video assured me that two coats would cover anything, but two coats did not do it all. Three coats came close, but it took four coats of paint. The original wood still shows through in harsh lighting but I refused to put a fifth coat on. I painted very thin coats and only did one coat at a time with two or more days in between. I waned to put stripes on the sides of the bureau but I was worried about using painter's tape so I waited three weeks for the final fourth coat of paint to cure. When I did the sides, the tape was not on the bureau for more than 15 minutes. 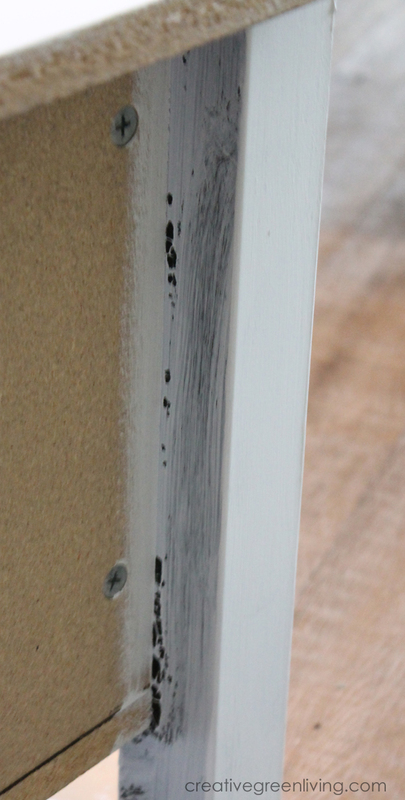 When I took the tape off, the paint came off in random spots right down to the base of the bureau. The tape loosened the paint to where it looks like I could scrape it off with my fingernails. All of it. The entire bureau needs to be sanded down to the base and I have to start from scratch. My first lesson was learning that chalk paint doesn't cover any better than latex. My second lesson was that chalk paint doesn't dry or cure nearly as fast as latex does. My heart is broken. This bureau means a lot to me. I wish someone had told me to only use chalk paint on random junk that I don't care about. What a heart breaking story! You're totally right about cure time. Chalk paint takes a full 30 days to cure. 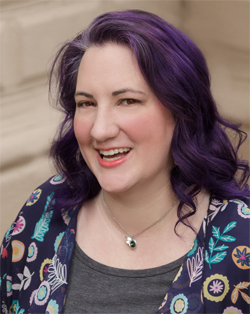 It sounds like it is fixable even though I wish you didn't have to do any fixing. 30 days to cure? So I have to sleep on the floor until my bed cures?! If it's an adult sleeping in the bed, you could use it and be gentle and careful not to scratch it.